Rachel Morrison has spent her professional life behind the camera, but she’s about to get her close-up. 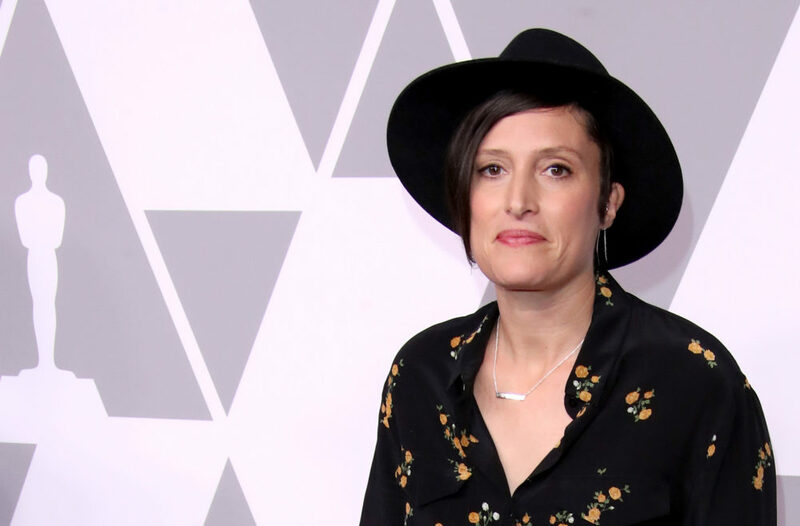 Between directing the vivid photography for Black Panther and being the first woman *ever* nominated for a Best Cinematography Oscar for her work in Mudbound, the 39-year-old is having quite a year. Her recent history-making projects have landed Morrison in the spotlight ahead of this weekend’s Academy Awards, but maybe more importantly, they’ve highlighted the need for our current conversation about equal representation in Hollywood to reach behind the lens as well as in front of it. It seems like a serious leap to go from capturing reality show drama to a prestigious Oscar nomination, but that’s apparently just what Morrison did. According to IndieWire, Morrison has said her time as DP for the Laguna Beach spin-off The Hills taught her a lot — and not just about Lauren Conrad’s love life. It helped her master lighting multiple cameras “in broad strokes” and improvising on set. “The trick is to light efficiently, but to still serve the story cinematically,” she said of the experience and how she later put it to good use in her films. Previously, Morrison worked with Coogler on the critically-acclaimed Fruitvale Station. The movie, which starred Coogler fave Michael B. Jordan and examined the real-life 2009 murder of Oscar Grant, picked up multiple awards including the Sundance Grand Jury Prize for Best Picture and Outstanding Independent Motion Picture at the NAACP Image Awards. She skipped working on Coogler’s second feature film (and critical hit) Creed because of the birth of her son. Morrison is not a comic book person. So when the chance to work on Black Panther came about, she had to take a crash course in superhero movies — not because she planned to follow their traditional rules (anybody who’s seen Black Panther could tell you she didn’t), but so she familiarize herself with that universe. “It was never so that I could match language,” Morrison told Vanity Fair. “It was so that I knew what it was, and the hope was to see how far we could push it.” She’d never been a big fan of action sequences in the past as she thought they tended to drag on, so she and Coogler looked to only the best classic car chase scenes, in movies like The French Connection and Bullit, for inspiration. Obviously, it worked because the car chase scene in Black Panther is ah-mazing. Shooting in New Orleans in the summer comes with some challenges. Namely, the weather is brutal. Morrison says some days on set they’d start in harsh humidity then have to shut down later in the day because of thunderstorms. As she told Vanity Fair, one day, after a storm had ruined the man-made cotton fields they were working with, she and her team ended up shooting the scene out of focus. “Then you couldn’t see how sad our wet cotton balls really were,” she said. She was up for a News and Documentary Emmy in 2005 for Rikers High and a Primetime Emmy for What Happened, Miss Simone? in 2016. Unfortunately, she didn’t win either award. Morrison shared the arrival of son Wiley on Instagram back in 2015 and her Instagram feed has been packed with adorable pics of him ever since. After starting her career in photography where things tend to be a lot more gender-balanced, it took Cambridge, Massachusetts native Morrison a while to realize being a woman in cinematography was unusual: “Little by little, I realized that I was an anomaly,” she told The New York Times, “but I tried not to focus on it, or to, at least, see it as a way to stand out in the crowd and bring something to the table that most people don’t.” Now she says she tries to focus on her work instead of her gender, though she still views her female gaze as a positive in filmmaking. Morrison told People that she kind of wishes all the attention the Oscar nomination has drawn to her would go away because she’s not used to it. But the headlines have prompted some unexpected personal perks: “People have come out of the woodwork, like my high school boyfriend from sophomore year sent me an email, and people I hadn’t seen since middle school, my parents both passed away ages ago and their old friends have found me, that’s been really nice. Also a little crazy.” She also knows how meaningful this visibility is to other aspiring female cinematographers and filmmakers, so she’s happy to forge that important new path.